Try to solve the latest Jumbled word puzzle. Take a note on the time and check how long you take to solve this. If you could solve within 10 minutes, you are a wordmaster! 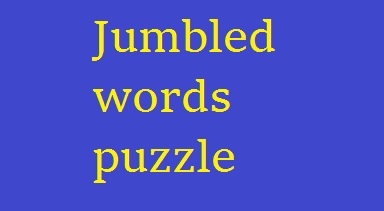 Two words are jumbled up in each of the following items. If you find out one word, the other will be its opposite.